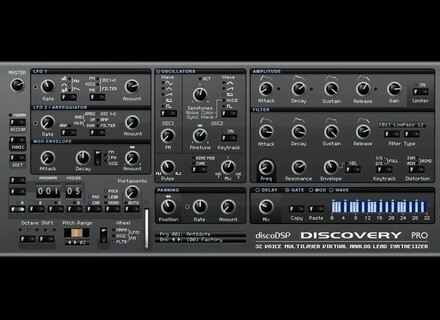 Discovery Pro, Virtual hybrid synth from DiscoDSP. Soundorder has released a new bank with 128 up to date sounds for discoDSP Discovery (Win&Mac). Including basses, leads, pads, sequences, sfx noises and perc stuff. Xoxos Syng2 Goes Free Xoxos has announced that Syng2 is now free (it previously sold for $25). Zynewave Podium Updated to v2.08 Zynewave has updated Podium to v2.08. Artificial Audio: Obelisk For Windows Artificial Audio has announced that Obelisk is now available as a VST plug-in for Windows XP and Windows Vista.